"Great training…feedback from the group was very positive"
Why is it called C.A.T.S.D.G? 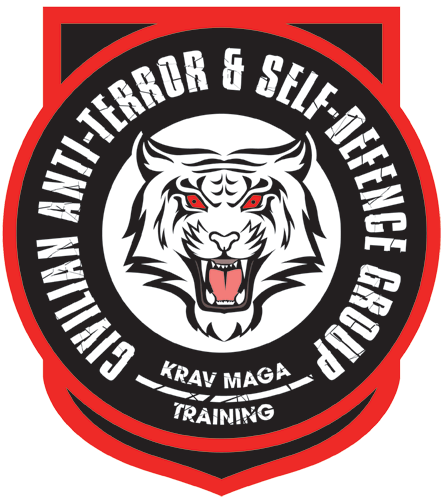 C.A.T.S.D.G stands for Civilian Anti-Terror & Self-Defence Group. The techniques we use are designed for simplicity and efficiency purposes to use under high pressure situations of distress including terror attacks with knives, guns etc. And yes, we have a cat in our logo, in fact it is a Panthera tigris altaica (aka Amur tiger), the most feared tiger on the planet. David is the Founder of C.A.T.S.D.G. 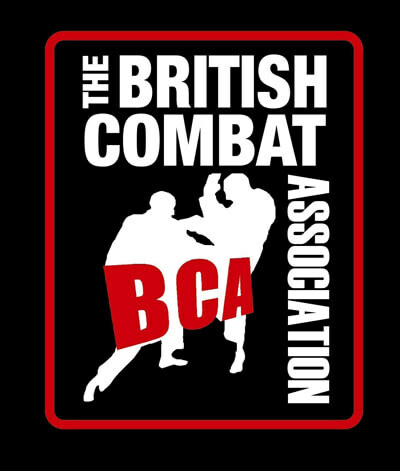 He is a qualified Urban Krav Maga Instructor, and a licensed Instructor with the British Combat Association. David applied himself strongly to our training over a prolonged period; he worked really hard to turn himself into a better instructor and practitioner. This hard work is now reflected in his knowledge and teaching ability. We’re very glad to have him in the organisation. Chief Instructor, Urban Krav Maga & Civilian/Law Enforcement Instructor with the International Krav Maga Federation (IKMF). I’ve been training with David for a while on his groundwork and he is very focused. Every instructor must first be a student, and he is committed to continually developing his learning which will benefit his students enormously. David also works with a number of other highly experienced and licensed instructors. Why should I bother learning? Firstly these are key life skills to help protect you, boost self esteem and confidence in all aspects of your life. No longer walk the streets in fear. Nearly 1 in 5 armed robberies take place in your own home. 1 of every 1000 adults in the UK will be assaulted this year. Every 98 seconds some is sexually assaulted in the UK. Every 18 seconds a burglary takes place in the UK. Secondly, it’s great fun! You can learn on an individual basis, with your friends or with your partner, and you can learn at your own pace – which is why we only focus on tailored private sessions tailored around your needs. Am I really that likely to be threatened or attacked with a knife? Ofcourse we hope not, however, the figures speak for themselves. London is the highest risk. You will be trained to deal with many knife related scenarios and defences that can be applied quickly and effectively regardless of gender, size or strength. Should I be worried about guns? Unfortunately gun incidents are significantly increasing too. In practice guns are less prevalent than knives, however you will be trained to deal with gun related scenarios. Will this be suitable for females? Yes. We focus on techniques, speed and aggression – not size. If you are prepared to work hard and have lessons regularly then anyone can benefit! Krav Maga is definitely the best stress reliever. Krav Maga is not as cinematic as other fighting systems but it is battle-tested and effective. That is why it is so popular with women. Do I need any prior experience in combat training? Simply put, no. We work with all ability levels from complete beginners to experienced security operatives or black belts in other martial arts. We focus on private classes by appointment only. This can be for families, friends training together, male/female only groups and specific weapons defence training sessions. Numbers are kept low for both safety and quality control. We are very keen to provide a high quality teaching experience, which allows us to focus on helping everyone. Inevitably yes you will, although it is not the primary aim of the class given the length of time. I would recommend stretching and working on HIIT and plyometric fitness conditioning separately as much as possible. Do you have gradings and belts etc.? No we do not. Whilst grading and belts are a good way of demonstrating progress through the many great martial arts out there, it is less relevant here. These are survival skills. Controlled aggression coupled with technique and movement/awareness is what we focus on primarily. There is no pretentiousness, pomp or ceremony. To simulate real life situations protective clothing is kept to a minimum and no equipment is required. We do recommend a groin guard/gum shield for protection when sparring. What type of techniques and training do you cover? 9) Adrenaline management and control. Will this be suitable for experienced law enforcement, close protection or military professionals? Yes. We focus on techniques, speed and aggression, which apply to all professionals in the security industry. I work as a Bodyguard doing convoy protection and personal security detail in Iraq. 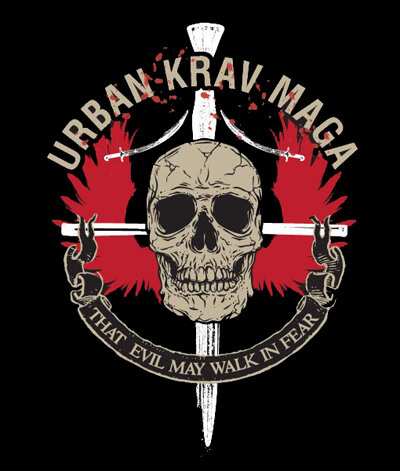 I always train in Urban Krav Maga…it is some of the most realistic I’ve experienced…and the best self-defence training I’ve ever done. Krav Maga is battle-tested and effective. That is why it is practised by so many police forces and special military units across the world. Safety is always paramount. Egos will not be tolerated (no matter what your background, size or experience) and must stay at the door for safety purposes. Please contact us to discuss your needs and objectives and we will then discuss the investment needed to reach those goals. "Best live knife techniques I have seen, simple, direct and powerful"